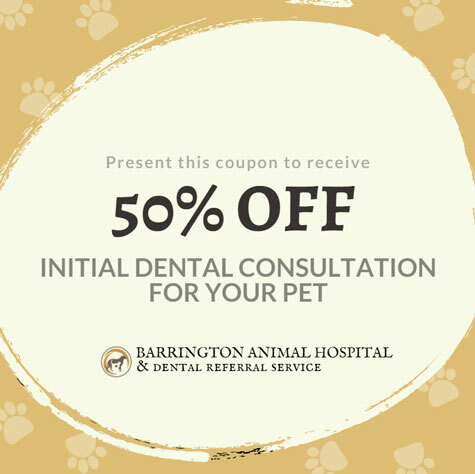 Take advantage of these special offers brought to you by the team here at Barrington Animal Hospital. Save money on your next visit by downloading and printing the images below. 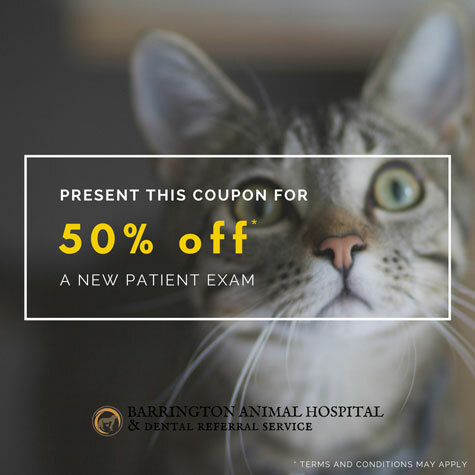 Check back for new specials and coupons to come!